Hello, we are Ari and Marie-Louise! 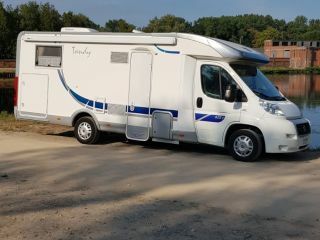 Since 2014 we are enthusiastic motor home owners and have already made many trips with our camper; both short trips and summer trips, both in Belgium and in (distant) foreign countries. We often go out with his four, but also regularly with his two. 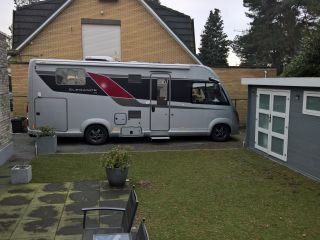 Our camper is a Hymer integral type Exsis 572. 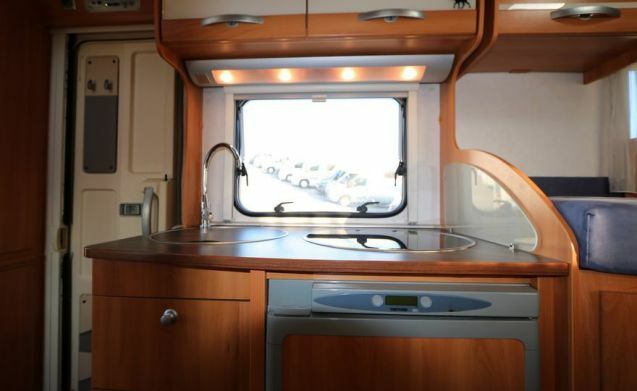 We are very satisfied with it, and we also like to make the camper available to others. 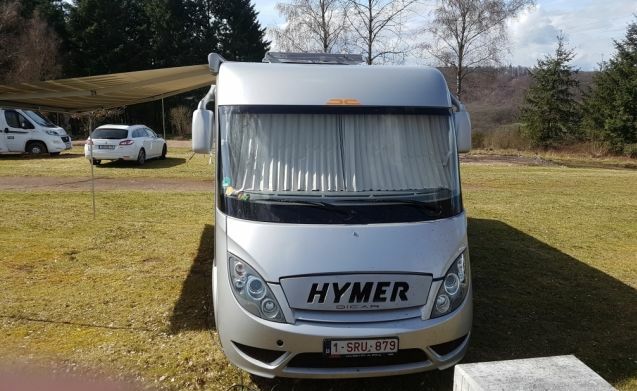 This Hymer drives fantastic with its manual 2.2 liter and 140 hp diesel engine with cruise control. 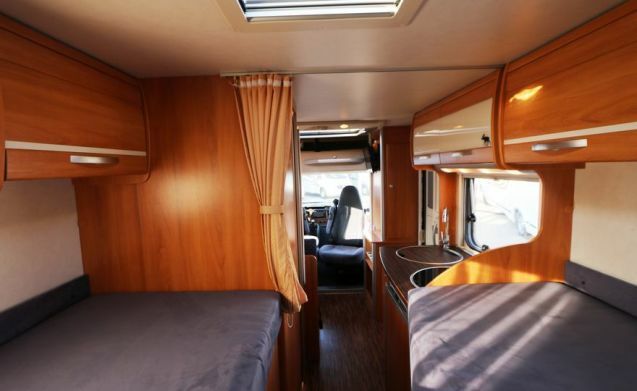 Because of its exceptionally spacious layout it is a wonderful holiday accommodation, wherever you want to go. 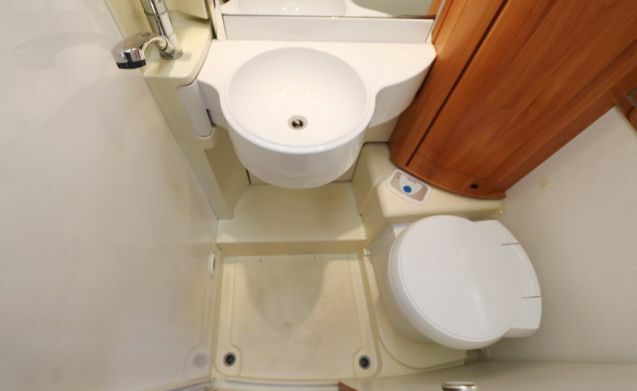 Everything is there: screen door, engine air conditioning, ring heater, hot water boiler, large shower with toilet and sink, a 100 liter refrigerator with freezer that works on 12V / 220V and on gas. All windows are equipped with Remis eclipse and fly screen. 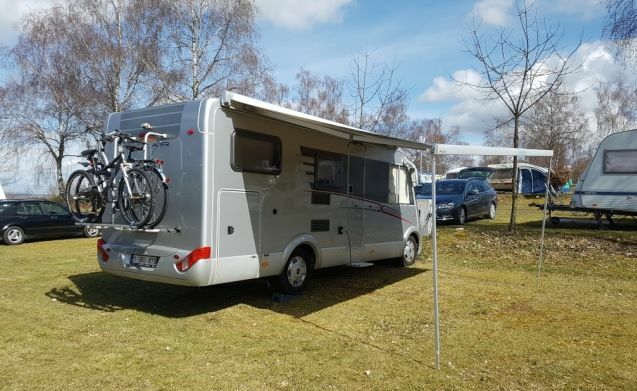 On the outside there is a reversing camera, a bicycle rack for 2 bikes and a large awning (450 x 275 cm). 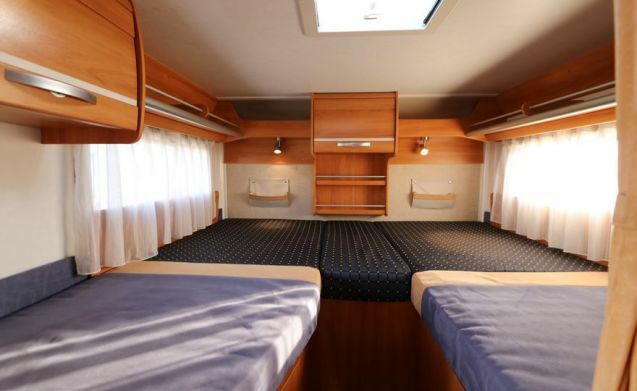 Our camper also has a large garage where 2 additional bikes can be added. 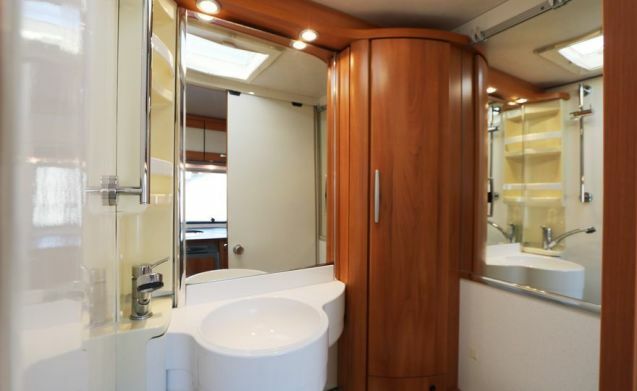 The camper has plenty of storage space in upper cabinets and under the twin beds there are also 2 large closets. 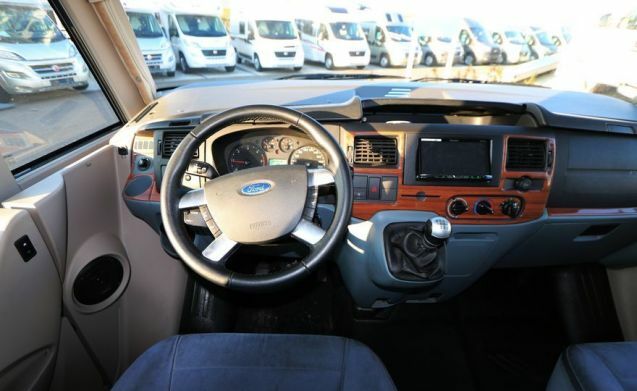 Both door mirrors are electrically adjustable and both have an additional dead-angle mirror. 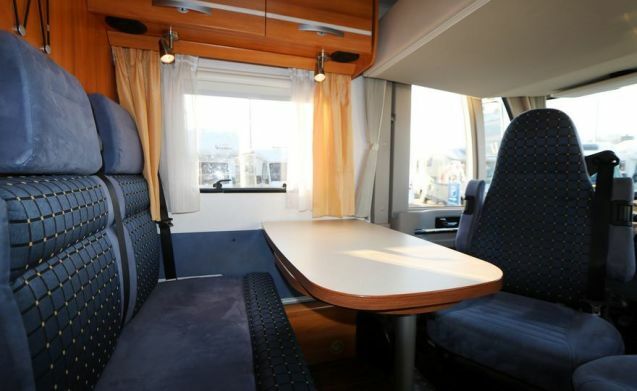 The seating area is nice and spacious. At the table you can eat and / or do extensive games. 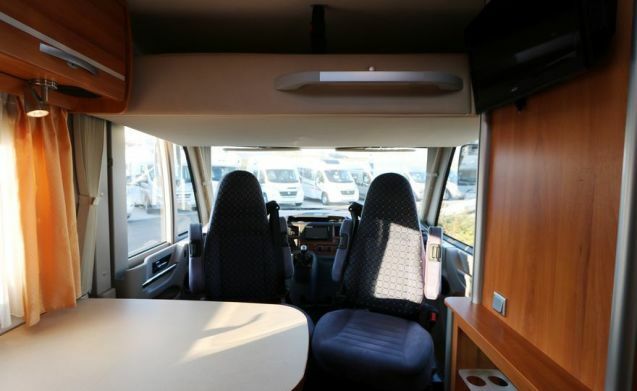 There are a total of 4 sleeping places and therefore 4 seats with 4 seat belts, but for 2 people it is a super ideal layout. 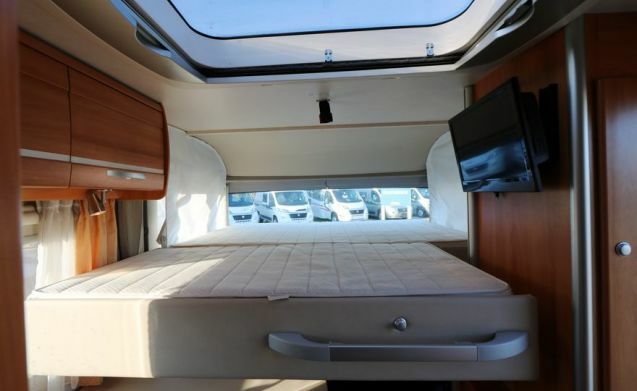 Above the two rotatable pilot seats is an easily fold-down 2-person lift bed. 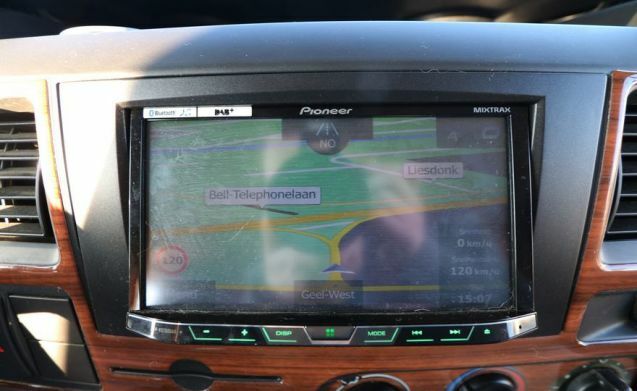 In the cabin you will find a Radio / CD / DVD / Bluetooth player with an extra USB port that is integrated with a modern navigation system (Pioneer) for the whole of Europe. 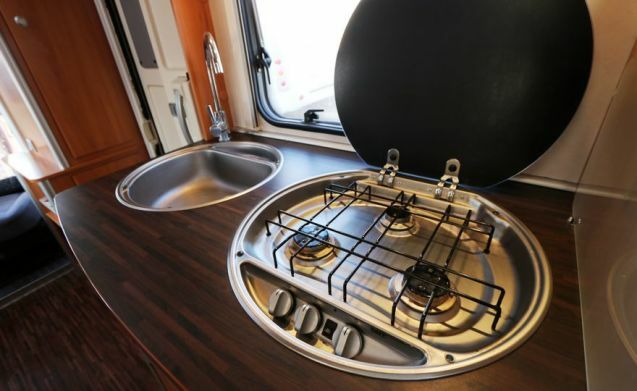 The kitchen has 3 gas cooking rings. 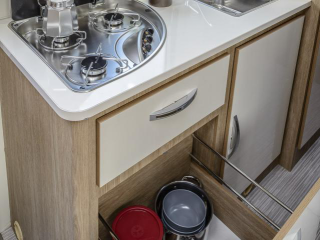 Sufficient crockery, cutlery, pans and other cooking utensils are standard. In the storage rooms 4 camping armchairs and a large camping table can be found. 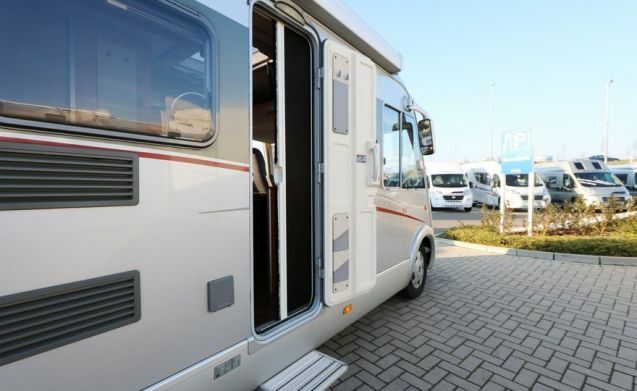 Our camper must be returned with full diesel tank. 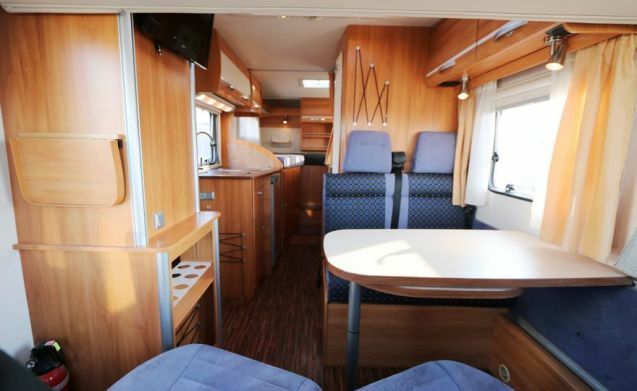 Burstner Elegance I745 driver's license C1 "Summer & Winter camper."